Update! Deadline extended to September 30! Sign Now! “Bring peace and cooperation to East Asia! 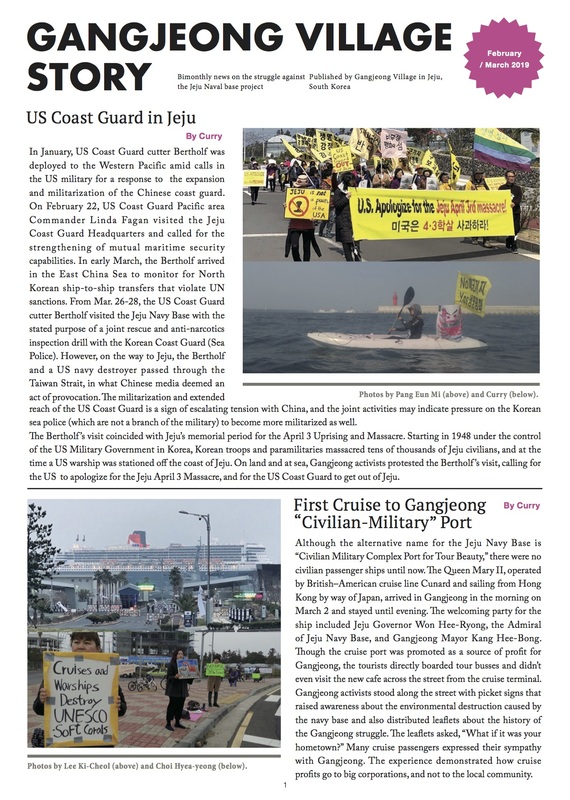 Don’t militarize Jeju Island and the pacific! Make Jeju an Island of World Peace! Korean group People’s Solidarity for Participatory Democracy (PSPD) is promoting an asia-pacific peace declaration against the Jeju Naval Base during the International Solidarity Action Week. Please sign before September 15 30! Click here to read more and sign the declaration!